Introducing my latest lipstick love, Schmoopy* from Lippy Girl. The red-orange shade Boss Lady has been a regular in my make-up bag for a year now so it was really high time I added another. Schmoopy is a gorgeous light pink, with some purple undertones and has the same wonderfully creamy texture. The shade feels very feminine but also fun and playful thanks to the almost lavender hints. 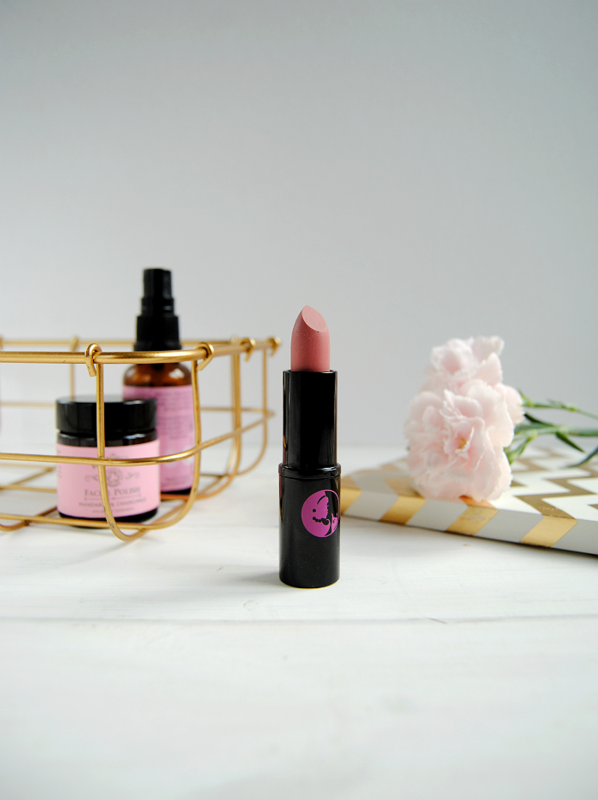 Lippy Girl's lipsticks are made with organic oils and waxes and even the packaging is eco-friendly, the tubes being made from recyclable aluminium. I'm also really hoping that the name Schmoopy is a homage to this Seinfeld episode! The natural formula is quite sheer but also easy to layer up, so I really like that I can wear it as a subtle or more obvious colour depending on how I'm feeling that day. Pinks really suit me as although I love bold berries and dark shades, I get a lot more wear out of lipsticks that don't require a lot of confidence to pull off. This pink is quite similar to an old Barry M shade I have, but is much more wearable and less effort to maintain so I'm pleased to have an update. I've found the wear time is longer for this one than Boss Lady at around four hours, so I'll usually reapply once in the day and be done. These lipsticks are just perfect for the colder months as they're so moisturising I don't have to worry about my lips drying out, even though this is a dusty matte shade. The colour goes really nicely with a warm gold and brown smokey eye to keep it up to date for Autumn and recently I've been wearing it at every opportunity. What are your current make-up favourites?